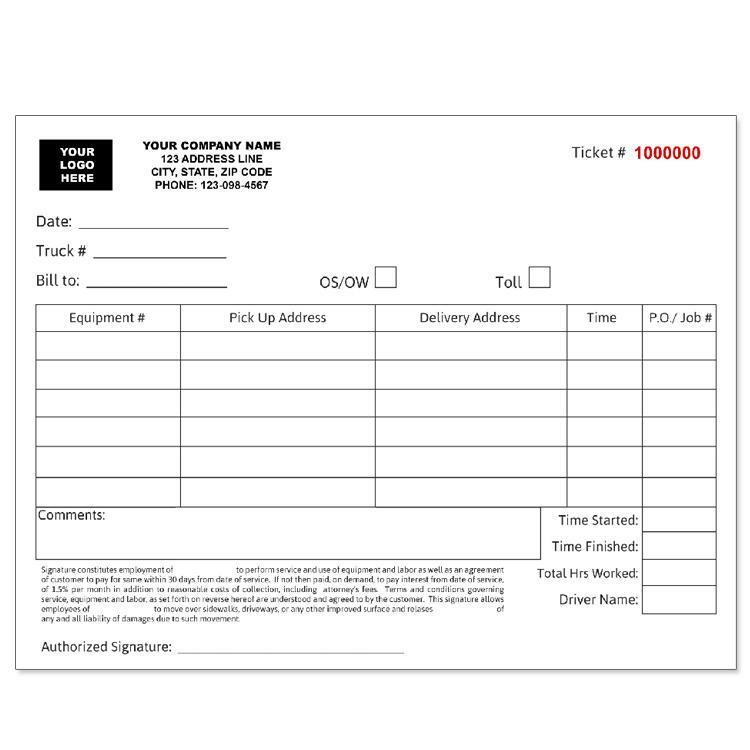 These envelopes and forms help truck drivers or trucking companies run a more efficient and effective operation. The logbook, trip envelope or trip sheets are used to track drivers activities while he or she is driving on a route to make a delivery. They have to travel long routes across state lines and that means many stops along the way for fuel, weighing stations, toll booths, truck stops, and the overall record of mileage. The different cost incurred along the way is recorded and proof of receipts are kept in the envelopes. The data recorded during the trip will also help the trucking company make important decisions. Buy Freight Bill of Lading for your trucking compa]ny. For a truck driver's form to be completed correctly, there is certain basic information that is required. These are things like dates, the driver's name, odometer recording start/end, truck/trailer license number, total distance drove, etc. on the trip envelopes, it is also important to record the state and route traveled to reach a particular destination. The cost fuel purchased, where it was purchased and the price per gallon must also be written on the envelope. You can place all receipts and other paperwork related to the trip on the inside. 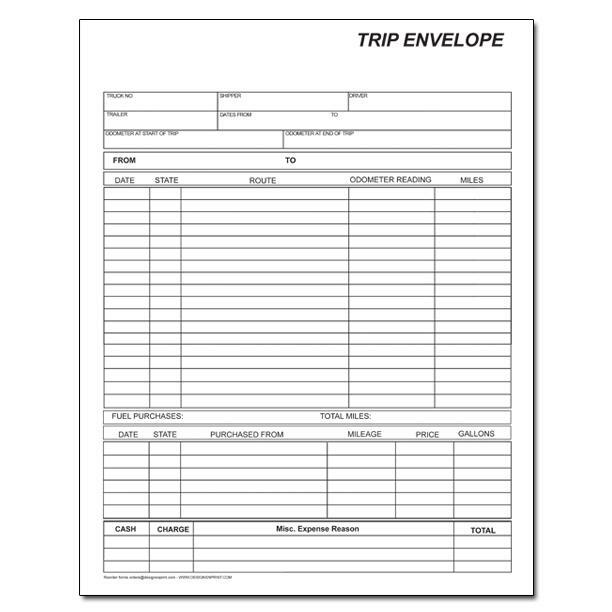 Trip report sheets are used by trucking companies to show a summary of the work done by drivers. It lists pickup and delivery details, mileage readings, state/province and fuel listings, payroll and additional payable expenses. Can Trucking Forms Be Personalized or Custom Printed? 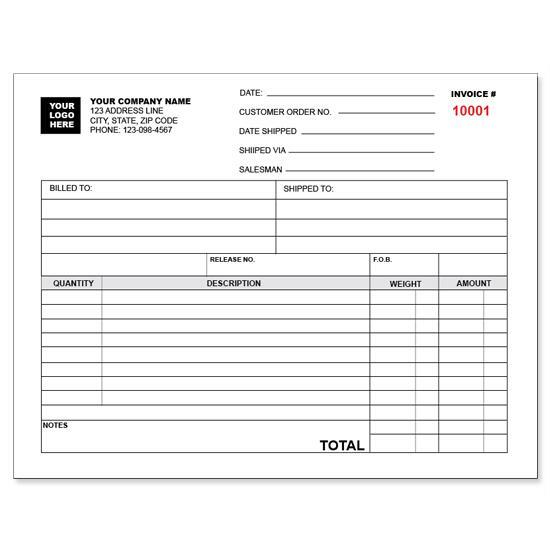 Any of these forms, envelopes or sheets can be custom printed so that they are more uniquely related to your business. Add a logo, company name, address, and other contact details. Send us your own design and will print and shipped to you within 5 days. 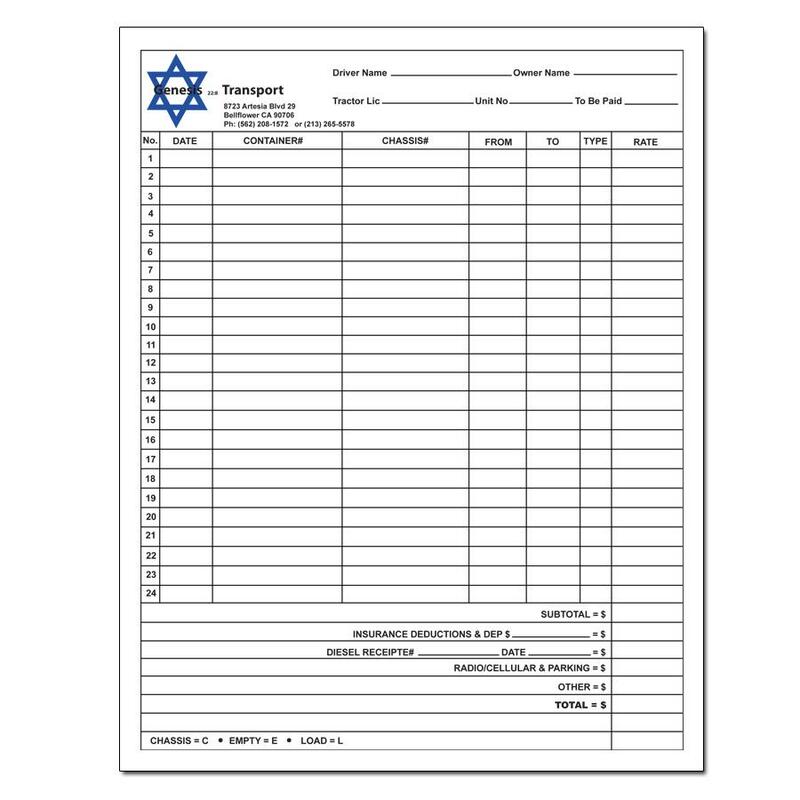 Shop now for driver logbooks, trip envelopes, invoices, bills of lading, trip sheets, and more. Our professional and talented graphic designers can help you customize any form or you can upload your own file during the ordering process. We can print in multiple spot colors or full-color process. 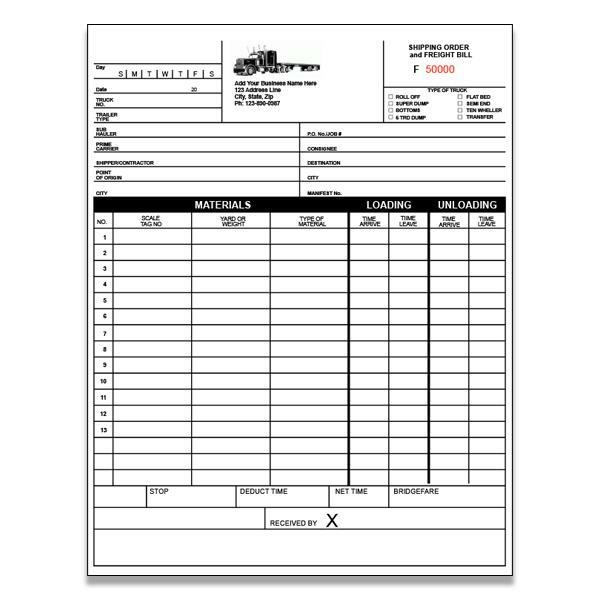 Print forms and envelopes for your trucking company. 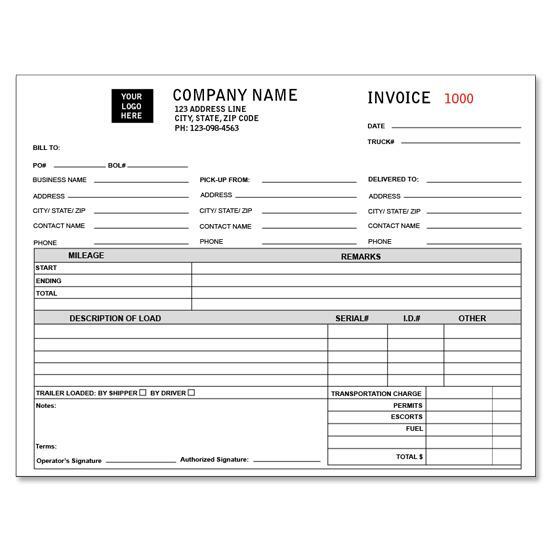 These include daily log form, driver's daily log book, carbonless forms, trip cost report envelopes, bills of lading, yearly inspection and more. Summarize miles traveled from on highways and total expenses.